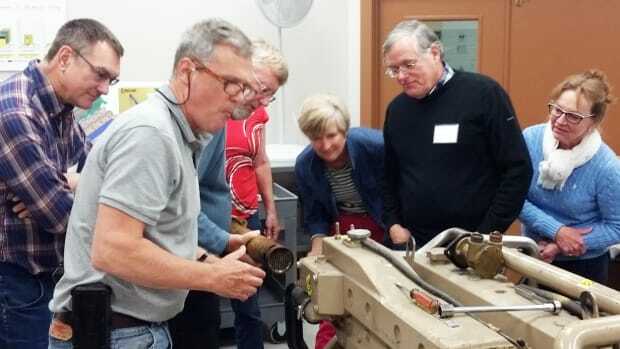 Former PassageMaker Editor Peter Swanson is leading two rallies to Cuba this spring for a "people-to-people exchange" based on learning Spanish for cruisers. This program is the first of its kind aimed at boaters. Rallies to Cuba: Learn the Lingo registration has gone live and we&apos;ve set some deadlines for signing up. Our pricing is very competitive with equivalent land-based people-to-people exchange prices, which are now driven by a country-wide shortage of hotel rooms. Once you&apos;ve registered, shoot me an email (pswanson@aimmedia.com) with all your contact information, including mailing address, and I will begin sending you printed materials and set up conference calls so we can get to know one another and get questions answered. We started out with six rallies but Cuba is so hot at the moment that we were forced to consolidate them in to two rallies, not for lack of demand but because we could not be guaranteed dock space the rest of the dates that we had targeted. No worries, we plan to repeat this program twice in October. 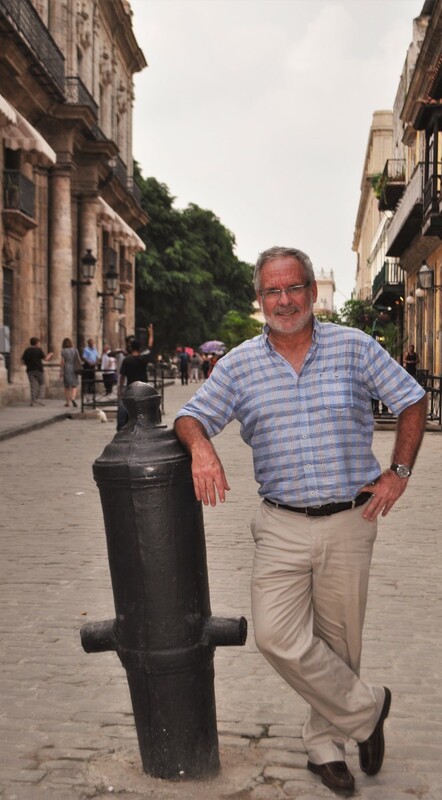 Peter Swanson on the streets of Habana Vieja. *For Rally 1, in the event that we max out, priority will be given to Nordhavn owners. The same goes with Rally 3 in the case of Fleming owners. Full refund up to 30 days before departure date. Within 30 days, money will not be refunded but applied to a future rally. If all goes well, we will try to repeat the program in October and November. All these dates, by the way, are based on the times of most settled weather to cross the Florida Straits outside (the worst) of hurricane season. Having a schedule and going by boat are contradictory concepts, but the months we are using come the closest to making that possible. Expect a email very shortly with instructions on how to register for The Rallies online. Please let me know if you want off this mailing list. Thanks for your patience on what is turning out to be an adventure on many levels. 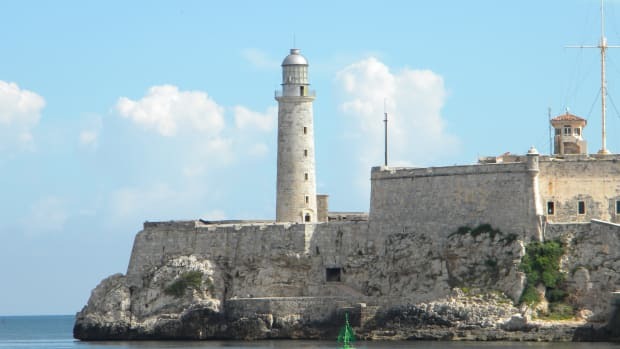 Rally participants cruise to Havana legally as part of a “people-to-people exchange” operated by the AIM MARINE GROUP. 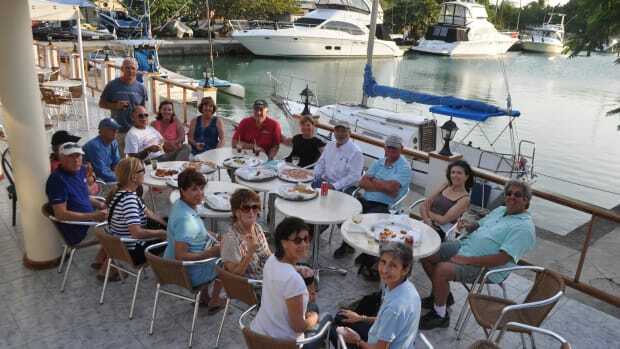 Participants study conversational/nautical Spanish with Cuban instructors on the grounds of the Hemingway International Yacht Club or Hemingway Marina. The textbook is Spanish for Cruisers by Kathy Parsons. Classes are conducted weekday mornings from 9 a.m.-12:30 p.m. 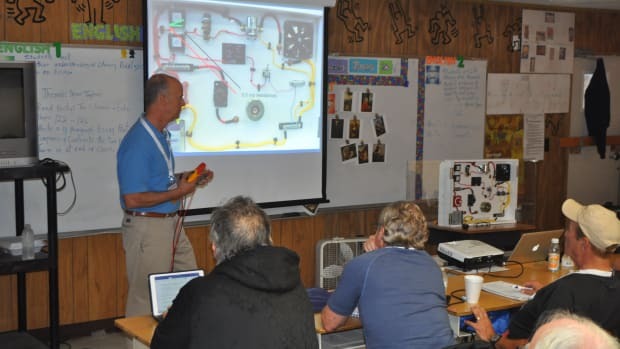 Afternoons include organized activities and unorganized exploration time, during which participants are expected to practice what they have learned in class. Some evenings feature social events. The middle weekend of the rally is an opportunity for guided and unguided exploration of the countryside, during which time participants are expected to practice what they have learned in class and report back. Sunday, April 3—Rally boats arrive at Marina Hemingway from Florida Keys, clear through Customs & Immigration and settle into berths. 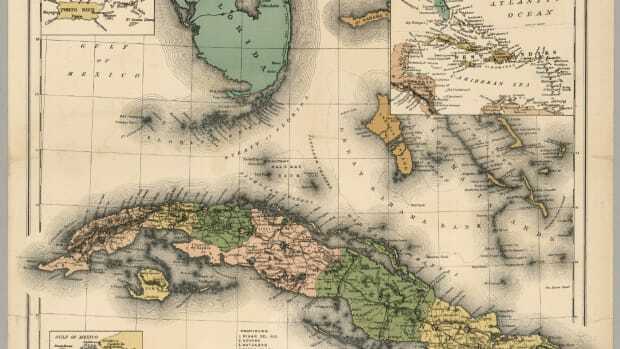 Monday, April 4—First day of class for Conversational/Nautical Spanish. Happy-hour cocktail party at the yacht club with students, teachers and club staff. 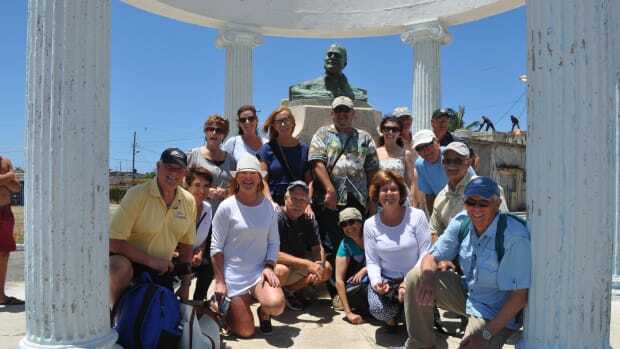 Wednesday, April 6—Afternoon bus tour “Following in Hemingway’s Wake,” including lunch at Cojimar, a visit to the Hemingway Museum, Ambos Mundo Hotel and Daiquiris at La Floridita. 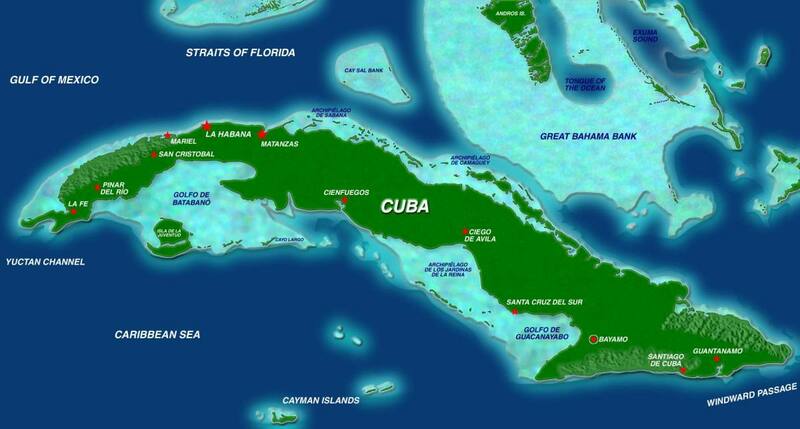 Friday, April 8—Long weekend with optional organized trips to Cienfuegos or Vinales. Monday, April 11—First day of second week of class. Tuesday, April 12—Organized visit to the Art Fair on the Havana waterfront in the “Old City.” Participants expected to return on their own via taxi cab. Friday, April 15—Graduation dinner/party with live music at Yacht Club or Marina Hemingway facility. Saturday, April 16—Boats depart for Florida, weather permitting. Spanish for Cruisers by Kathy Parsons. 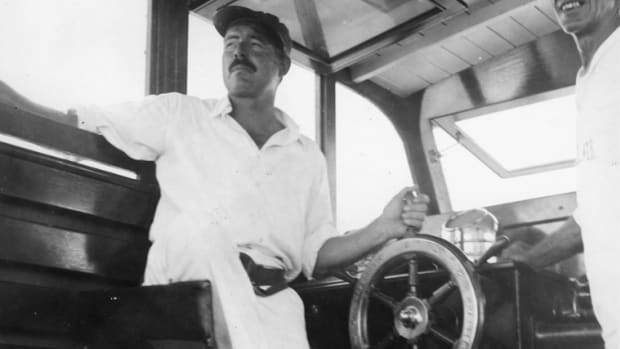 Membership in the Hemingway International Yacht Club. 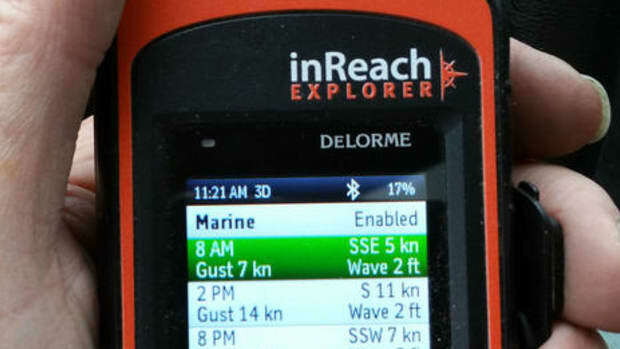 Assistance in advance with all clearance paperwork and U.S. Coast Guard departure forms. Discounts for dockage and fuel. Organized social events and tours included. Certificate of completion for the course. AIM maintains records showing compliance with U.S. regulations for participants for five years in accordance with U.S. law. Representative from AIM MARINE GROUP on site throughout.